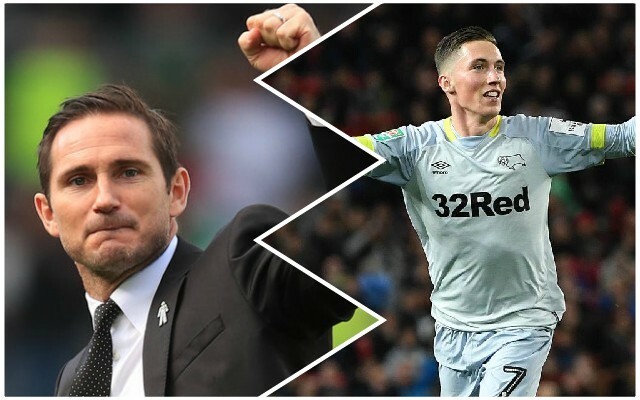 Harry Wilson, the 21-year-old Reds winger currently on loan at Championship outfit Derby County, has been lavished with praise by his manager Frank Lampard, despite being in a difficult run of form. Wilson has netted 12 goals in 33 appearances this season for Lampard’s side, but in the last couple of weeks, many Derby fans have criticised him as he has gone off the boil. His last goal came in the middle of January against Reading. According to the Liverpool Echo, Lampard said: “Harry is 21, he played half a season at Hull last season and played very well. “We have to understand a big batch of games or an injury, or whatever, might see a slight drop, maybe, by their own standards. I am very level-headed about that. When assessing Wilson’s spell on loan at Lampard’s team, it must be viewed as a full campaign, not a tough period. He might not have been as electric in recent weeks as he was earlier in the season, but there is clearly a very good player there. Wilson will get his chance with the Reds during pre-season, and it will be up to him to take it with both hands.